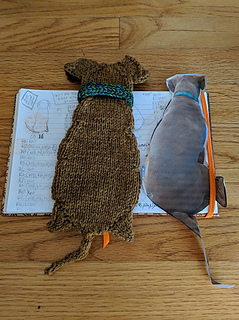 It was the Cat’s Silhouette Bookmark and a request for dog’s version that started this project. 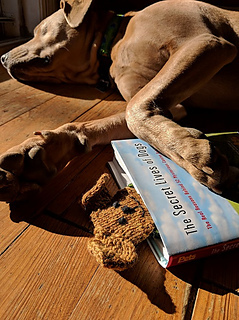 I picked our dog as a model for this bookmark. The bookmark is worked from the bottom up. 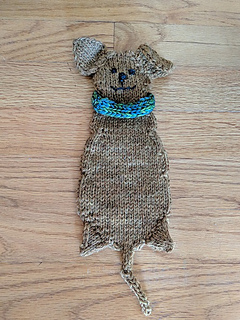 I-cord is used for the tail and a collar. 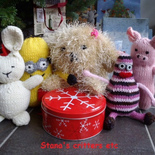 The ears are knit separately and sewn on. You will need approximately 50-60 yards of main color and about 10 yards for the collar. Small amount of black yarn for the face embroidery.